"... an outstanding release and a necessary acquisition to all Vaughan Williams completists such as myself. Highly recommended." No. 2. Who Is This Fair One? "Album of the Week ... this gem of an album features a selection of rarely heard works by Ralph Vaughan Williams, some of them receiving their first recording." "A tremendously rewarding and consistently absorbing compendium ... flawlessly performed under Paul Daniel's idiomatic direction and beautifully engineered to boot. A mandatory acquisition for all RVW acolytes." "... my CD of the year ... 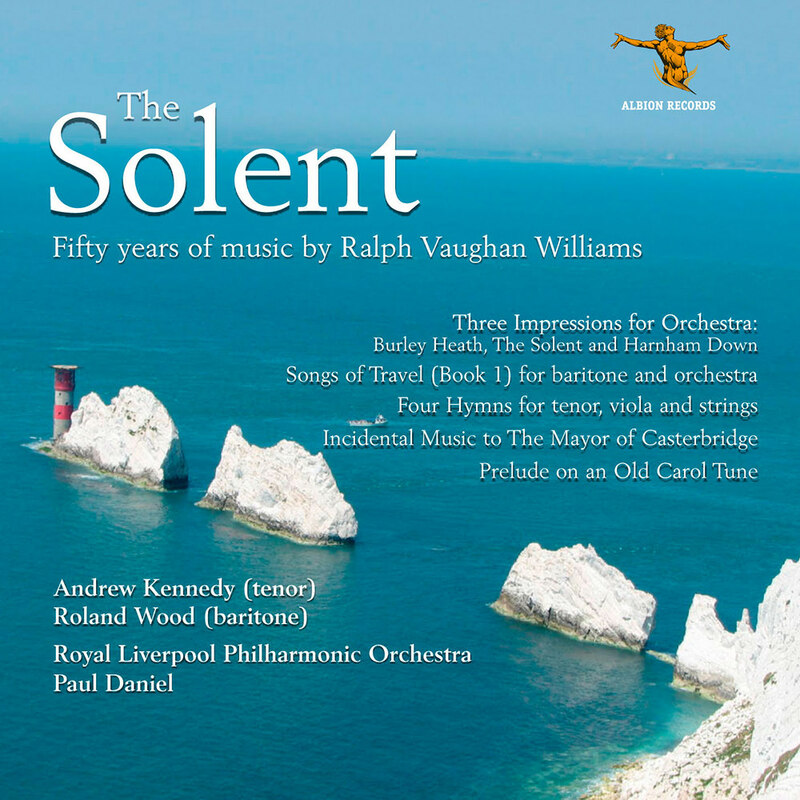 I have waited for at least 40 years to hear (The Solent) ... it is everything I could have imagined ... this may not be the most profound music released on CD this year but from my point of view it is the most fascinating." The Royal Liverpool Philharmonic Orchestra and conductor Paul Daniel earned a Grammy nomination in 2014 for this recording covering 50 years of music from Ralph Vaughan Williams. The programme features the world premiere of Three Impressions for orchestra which incorporates the title work The Solent. The span of compositions presented here demonstrates two other elements of Williams's character. The first was his depth of literary understanding, including, on this album alone, settings or references to Philip Marston, Matthew Arnold, Robert Louis Stevenson, Jeremy Taylor, Dr. Isaac Watts, Richard Crashaw, Robert Bridges and Thomas Hardy. The second element was his knowledge and love of the English countryside, deepened by his folk song collecting.